It appears that President Ghani is following through on some of his campaign promises. He stressed that the massive corruption within the Afghan government and Afghan National Security Forces has to be addressed. 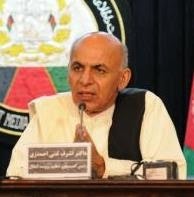 Officials from the U.S. Special Inspector General for Afghanistan Reconstruction (SIGAR) recently met with President Ghani to discuss concerns about reports of corruption. Twelve logistics contracts - from uniforms, rice, fuel, and more are being scrutinized in an inquiry. Read more in "Afghan leader orders graft review for all army supply contracts", Reuters, March 4, 2015.